Tickets soon to be on sale from first week of April. Event date -- Friday 13 July 2018. 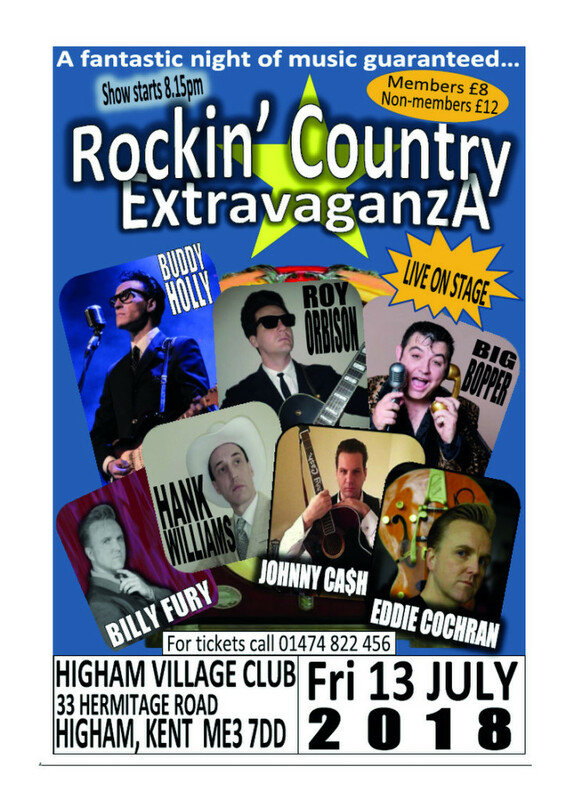 Buddy Holly, Johnny Cash, Roy Orbison, Hank Williams, Billy Fury, Eddie Cockran and the Big Bhopper. An evening of music and dance performed by artists from the West End.